Last year we made a quick stop in Lisbon to catch a flight to Ghana. We found ourselves in the city for just two days and didn’t have nearly enough time to visit the city and its surroundings as we were preparing ourselves to spend a month in Africa. Now living in Madrid, we are perfectly positioned to revisit the city and explore the surroundings. Check out this post shared with us with tips on having a great holiday in Lisbon. Summer has taken off and most of us are already thinking of that lovely holiday by the beach, full of sunbathing and surf lessons. There are few places that make the favourites list but Lisbon is certainly one of them. Whether you are staying there for a week or three days, here is a guide to the fab things you can do to make this summer holiday extra awesome. 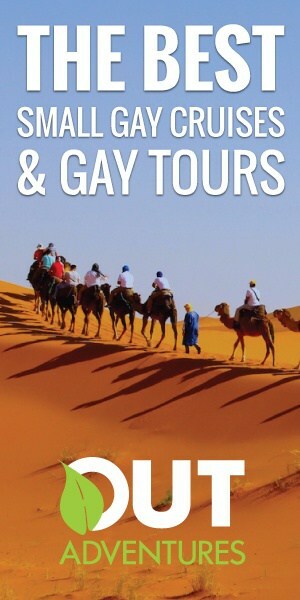 All trips need a bit of planning into how to get there and how to get around once you land. As you may end up using all possible modes of transport on this trip, it’s better to be prepared, so you don’t end up spending all your cash on getting about. We have all learned by now to love the comparing prices websites for flights, car hire and accommodation. And I can’t stress this enough: USE them at all times. Get on-board with Skyscanner, Cheapflights or Edreams for flights and Holiday Autos or Compare Car Hire for your rental car – you are bound to hit the jackpot for the cheapest options out there. Flights should be booked in advance to get the cheapest prices they say. But you can also find the best offers even a week before departing. It does entail a lot of research on your part but it will certainly make your wallet heavier. As far as your car rental is concerned, keep an eye for discounts, vouchers and offers. It is best to go for a broker as well because they tend to compare the prices of almost 40 suppliers and give you the best there is (plus it is easier to book). For example, you can get a Holiday Autos car rental in Portugal for as low as £12 a day. Add a voucher to that and your summer holiday spends are already on the up. Tip: While on your road trips, remember to put a fluorescent bib in the car. It is a legal requirement to have one in case your car breaks down on a busy road and other drivers need to spot you. Can I hear you say Road Trip? Just 20 miles west of Lisbon you will find the lovely coastal town of Cascais. After a cultural visit to the Conde de Castro Guimarães Museum – a former palace, you can go hit the waves and get some adrenaline pumping while surfing. If your surfing skills are a bit rusty, try sailing and enjoy the ocean breeze. Drive north-west on the IC19 highway and in 20 minutes you will find yourself in the gorgeous town of Sintra. Enjoy Sintra Mountains and Sintra-Cascais Nature Park, royal retreats and castles dating as back from the 8th century. 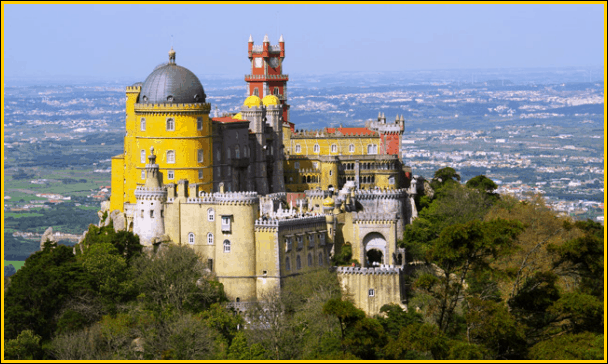 In addition, perched on the hilltop above of Sintra, you will find a national monument and one of the Seven Wonders of Portugal: The Pena National Palace. The Palace and its huge gardens will give you 1GB of photos. After all that excitement and a whole new memory card for your camera, go see the Castelo dos Mouros (Moorish Castle), and the Palácio de Monserrate. The famous fishing village now renowned as a surfer’s paradise can be found 78 miles from Lisbon. With perfect beaches and waves that would make any surfer hold their breath, this popular summer destination will definitely be worth a drive. 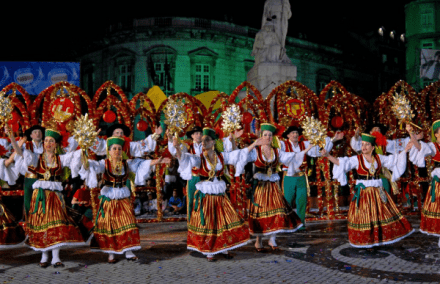 If you find yourself in Lisbon around the 13th June you will have a chance to celebrate St Anthony’s Day (Lisbon’s patron saint) and ‘get jiggy’ in the biggest street party in Lisbon with carnival floats, barbeque sardines and lots of dancing. If you miss this one though, don’t worry, Lisbon has plenty of fun events planned this summer. In August, Ocean’s Festival has ocean themed concerts with pyrotechnic shows on a tour of the seven seas on dry land, by the Tagus riverside. The Optimus Alive! is also worth getting involved in, which takes place in the Passeio Marítimo de Algés from July 6th to July 9th. It is a unique Festival in its kind, with bands like Coldplay, Foo Fighters and Mr.Oizo. The orange “Cacilheiro” boats are a definite part of Lisbon and a boat trip is one of the highest recommended activities given by the locals. With prices being as low as €1.20, the 15 minutes trip will help you discover the old city. Locals say that the light in Lisbon is different from every point, so when you get on the boat on a sunny day the changing views of Lisbon can really take your breath away. Take the trip to Cacilhas and have a lovely meal at one of the small fisherman’s restaurants, followed by a walk on deck to enjoy the views. All of this planning must make you want to book your own summer holiday in Lisbon. Get the boring stuff out the way today, like booking flights and your car hire – then go look up for more fun things to do in and around Lisbon. If you have any other tips please share them in the comments section. Otherwise, I wish you a lovely holiday! Next time you go back, make sure to make a stop in at Porto. Really cheap flights on Ryanair from Madrid! It is beautiful, and the Port tastings in caves are fabulous! Noted Robin! We’re overdue for a proper trip through Portugal. Should be easy while we’re living in Spain though! Thanks guys for sharing. It’s on my bucket list this summer, can’t wait!